When highlighting the underrated magnificence of Mike Tomlin as an NFL coach, look no further than Sundays thrilling AFC Divisional Round game that saw Pittsburgh edge Andy Reids Kansas City squad 18-16 after a converted two-point play was overturned by a holding penalty. The victory improves Tomlins career playoff record to 8-5. Hes been to two Super Bowls with Big Ben Roethlisberger and won one. Hes missed the playoffs just three times in a decade as the Steelers head honcho. This season, Tomlin flexed his coaching mojo by running the table with seven wins in a row and then beating Miami and now Kansas City on the road in the playoffs. The Rooney rule’s greatest creation, and his team, are in a zone and locked in a matrix of synergy that is hard to capture. They haven’t lost since November 13 in Dallas. Despite the overwhelming consistency of Tomlins troops during his tenure, he still doesnt get the props that other head coaches with much less impressive resumes get. Theres always a criticism of his time management or in-game decisions. Terry Bradshaw tried to belittle Tomlin and diminish his myriad talents to that of a cheerleader. His implication that Tomlin — who began his career as an enthusiastic, attentive and intelligent defensive backs coach under Tony Dungy and then Jon Gruden with the Tampa Bay Bucs (2001-2005) and won a Super Bowl in 2002 — has no technical, strategic or fundamental knowledge of the game is out of line. Its very disrespectful considering Bradshaw would most likely consider Andy Reid an elite coach despite Reids sub .500 playoff record (11-12) and failure to reach the Super Bowl with talented teams. Since arriving in KC, Reid is 1-3 in the playoffs, but nobody is saying Andy Reid cant coach. 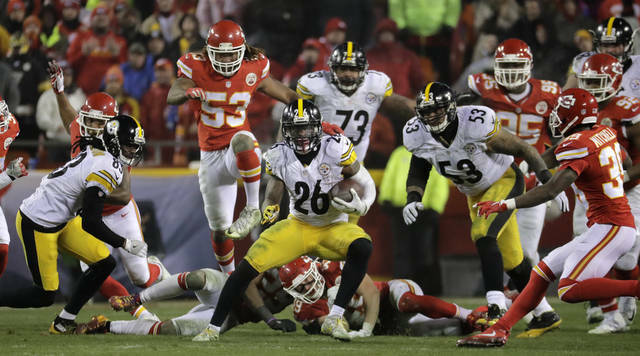 In fact, the Vegas line had the Kansas City Chiefs holding a 2-point edge over the Pittsburgh Steelers heading into the AFC Divisional playoff game, despite the fact that the Steelers hold a 20-11 advantage in the series, including a 10-7 edge in games played at Arrowhead Stadium. I guess they were making that decision based on the fact that Andy Reid is supposed to be able to outcoach Tomlin in the clutch. Guess not. Reid has eight more years on Tomlin, but less Super Bowl championships and appearances. Tomlin is a rock at the helm who has all of the elements needed to win a Super Bowl. The Killer Bs are probably the most unstoppable three-headed monster in the NFL. Big Ben to Antonio Brown is as clutch as it gets. Watching Tomlin dap’ it up with his assistant coaches on the sidelines after the game, its clear that he is motivated and has a bit of a chip on his shoulder as he will probably prepare like never before to face the win guru Bill Belichick and Americas favorite line-toter Tom Brady in what should be a classic AFC Championship matchup for a trip to the Super Bowl. If Pittsburgh wins that game, it will be Tomlins shining moment because if he defeats the Pats, that means he was at the top of his game and executing his game plan to near perfection. Hell have some help from offensive coordinator Todd Haley, who also enjoyed sweet vindication in defeating KC, the team that fired him as their head coach in 2011 after three seasons at the helm. Haley is considered an offensive guru and a heck of a mind, but his 19-26 record as a head coach didnt reflect that. In fact, Haley gets all the credit for Pittsburghs offense, but Tomlin is the guy who sets the tone and provides the blueprint for the Steelers success. Tomlin is the guy who tends to be a problem when the playoffs come around. Meanwhile Andy Reid and all of these other coaches who get credit for being masterminds but have few proven accolades to show for it are at home, chilling. Those losing coaches, owners and players are wishing they had a head coach with Tomlin’s passion for the sport and complete understanding of what it takes to run a flagship organization.